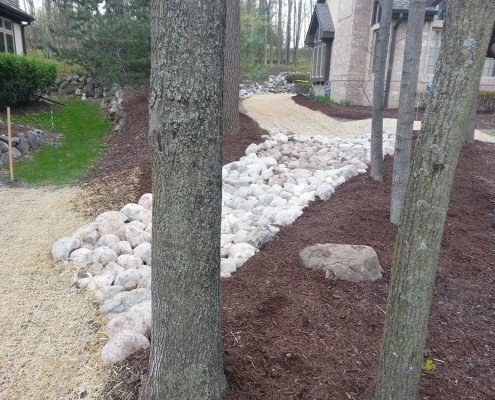 When you think of garden care and design, we’ll forgive you if drainage and yard grading considerations are not at the top of your list. 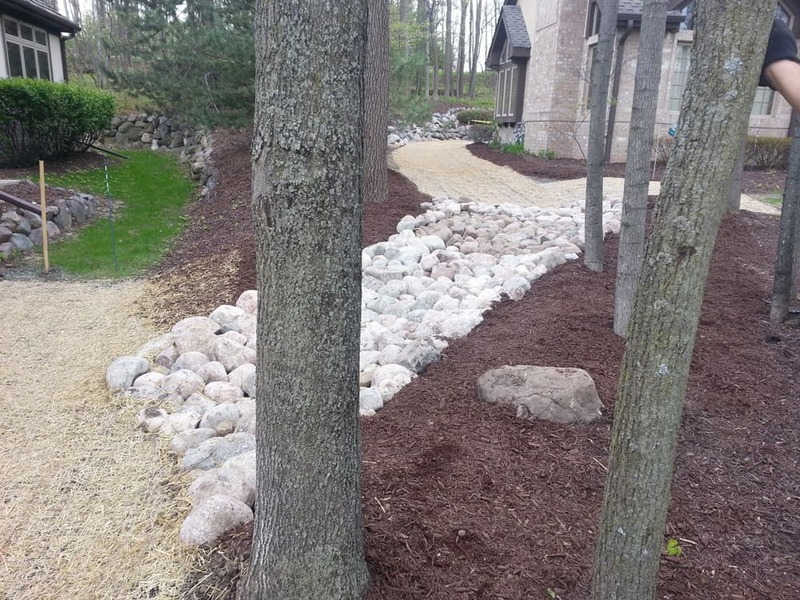 Nevertheless, drainage infrastructure and grading are indispensable aspects of garden design. 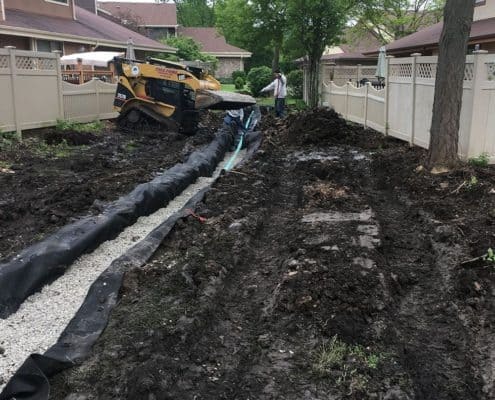 It is essential to keep water drainage in mind when landscaping your property because inadequate draining can result in a variety of hazards and potentially expensive consequences. 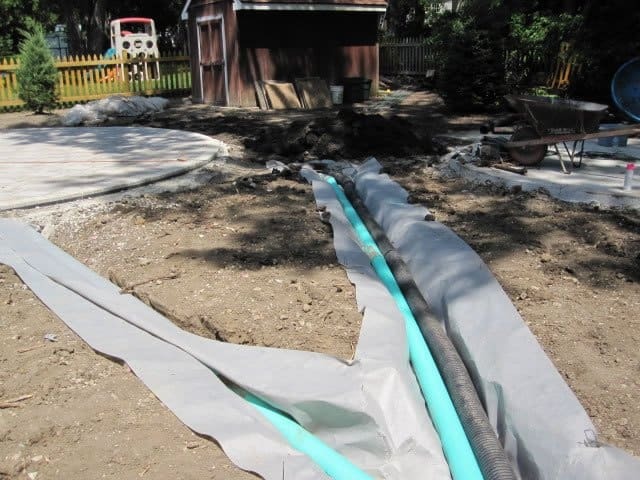 If outdoor spaces are not designed with drainage in mind, un-drained water can cause a variety of problems in your yard. 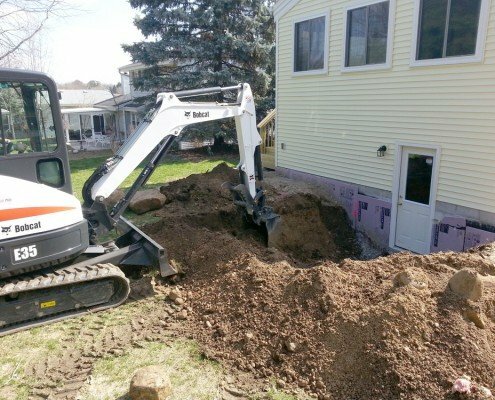 For instance, standing water can compromise the structural integrity of the foundation of your home and any other outdoor structures. It can also jeopardize the health of your plants if their roots become water-logged and “suffocate.” This is a particular concern for water-sensitive plants. 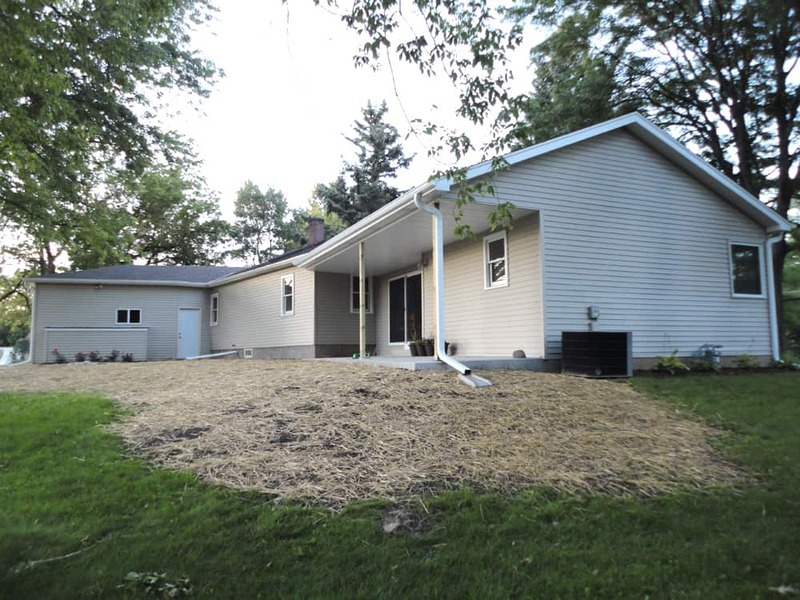 Poor drainage management can potentially cause other serious dangers such as mosquito infestation and inconveniences such as soggy lawns and unsightly, muddy swamps. 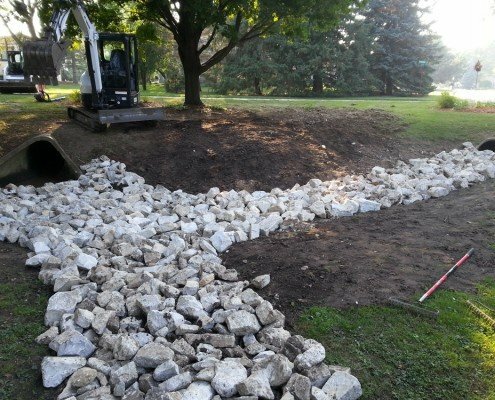 Terra-Firma Landscape takes these potential challenges seriously, and we have a variety of tools to expertly implement water drainage solutions into your landscape. 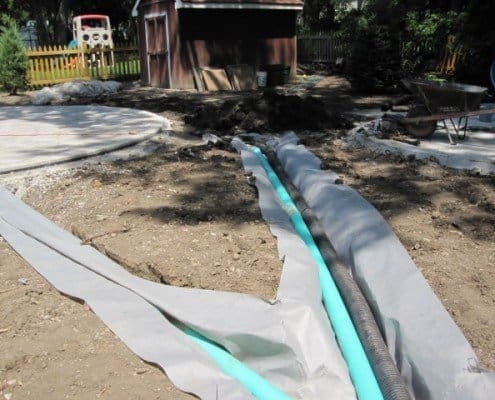 Rather than viewing these potential threats as limitations, we see water drainage considerations as an opportunity to plan your property in a way that is both exciting and efficient. Terra-Firma Landscape has many years of experience properly grading outdoor spaces so that they are prepared to handle sudden and large volumes of water in a way that doesn’t diminish, but rather enhances the overall look of your landscape. 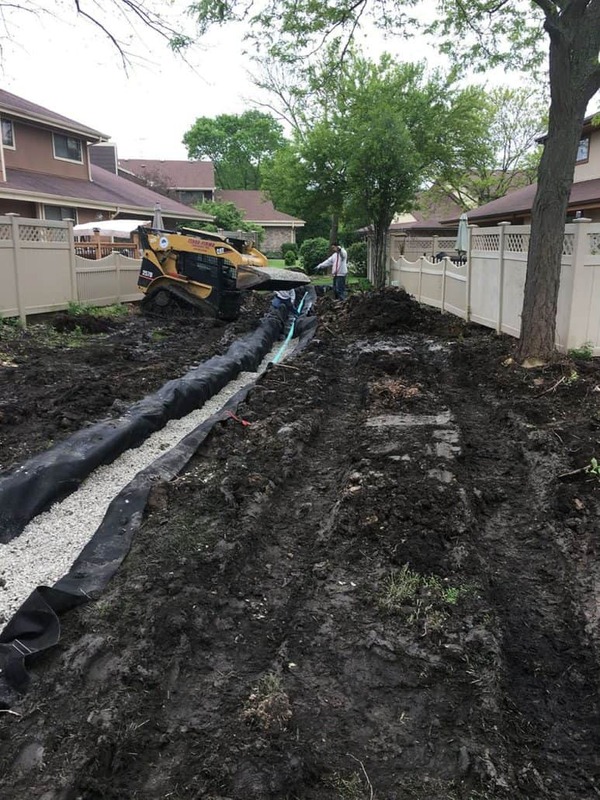 The most straightforward way to achieve good drainage is to carefully grade the terrain of your yard, creating artificial pitch throughout the terrain to ensure that gravity keeps water flowing away in all sections of your property. Swales, which are artificial troughs, are another tool we employ. They are effective, and look totally natural if designed correctly. Swales can also add an interesting and fun character to a flat yard with limited natural contour. 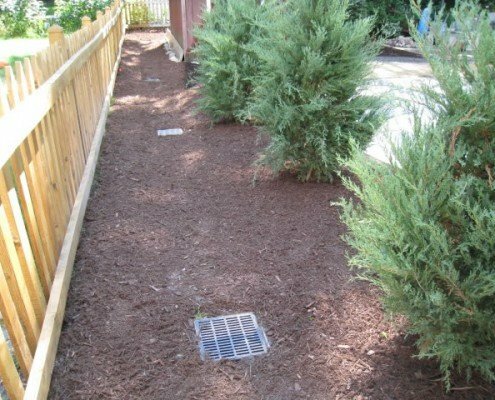 If this method is not particularly practical for your property, another option is to tastefully integrate catch basins and drain tiles that effectively manage water without detracting from the aesthetic quality of your outdoor space. Drain tiles are particularly effective in low corners prone to quick flooding. 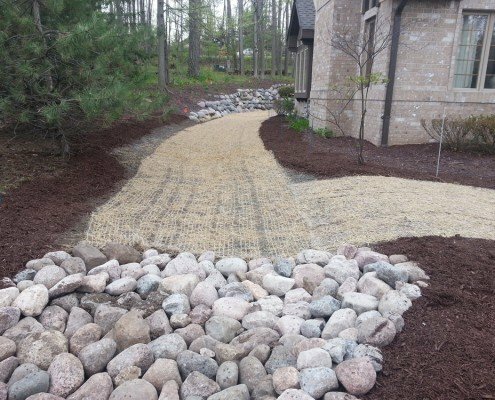 Our variety of product styles and our ingenuity allows us to provide the drainage support your property needs in a way the blends into the natural look of your yard. 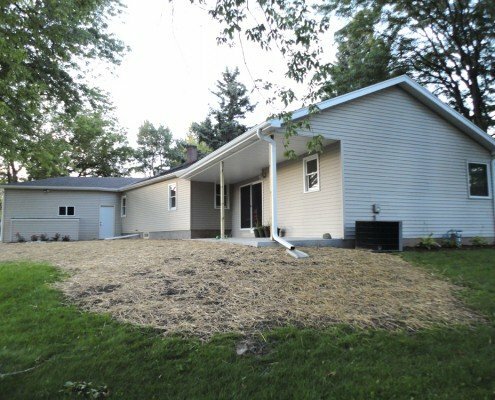 For example, we may recommend artfully concealed downspout drain tiles. 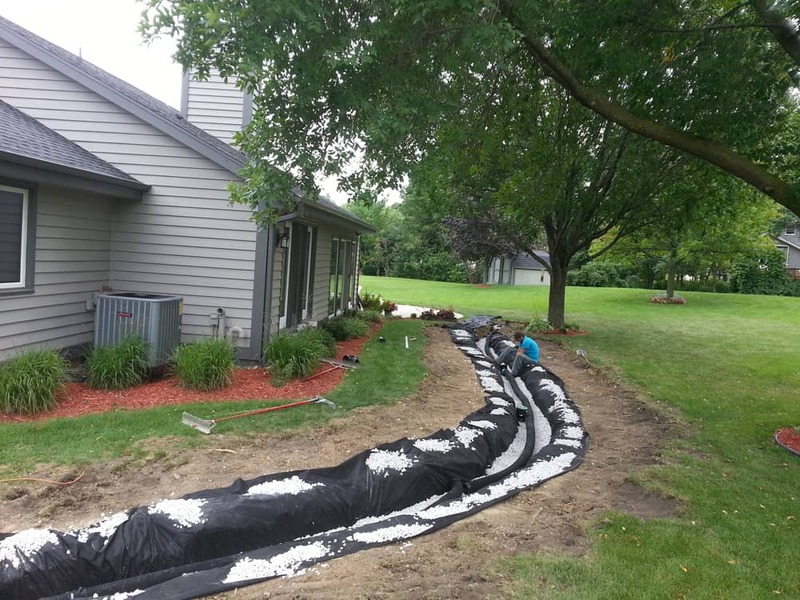 This helps provide effective water management in a way that avoids the use of unseemly pipes. 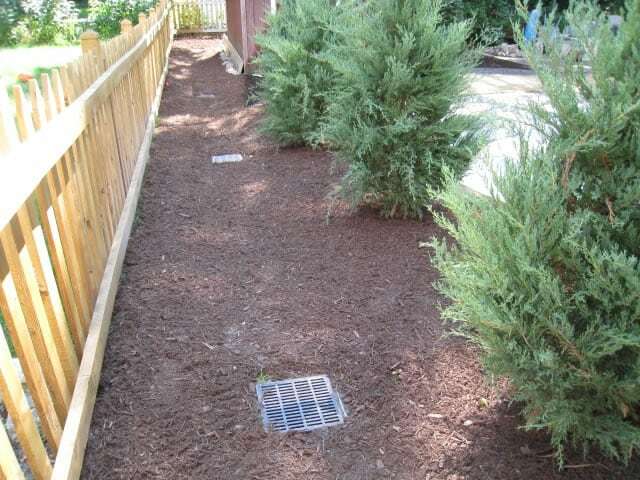 Alternately, we also offer french drains, subterranean pipes that collect water and direct it to a runoff depository. 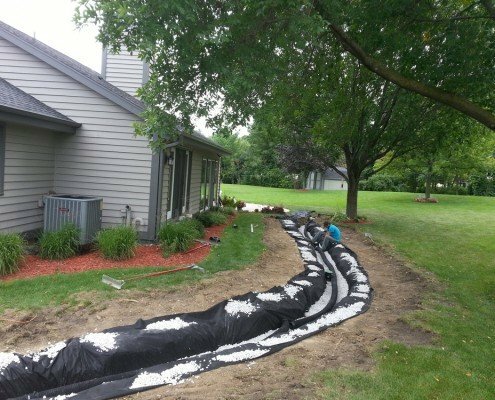 These are a very high-end way to implement drainage infrastructure. 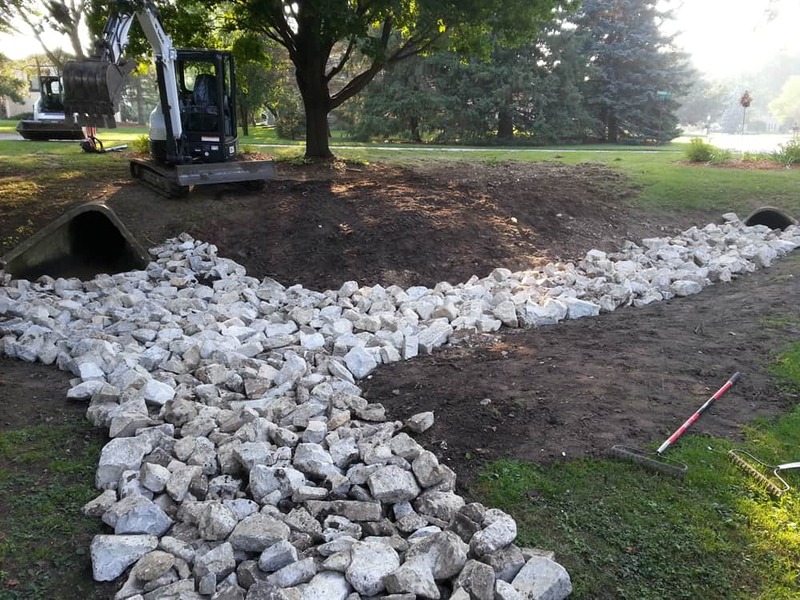 One popular option available with french drains is the construction of a swale disguised as a rocky river bed. Using high quality boulders with varied color, these charming structures can meander through your landscape, creating a rugged and bold appearance. The options, as you can see, are nearly endless. Thankfully, we’re the experts best qualified for the job. 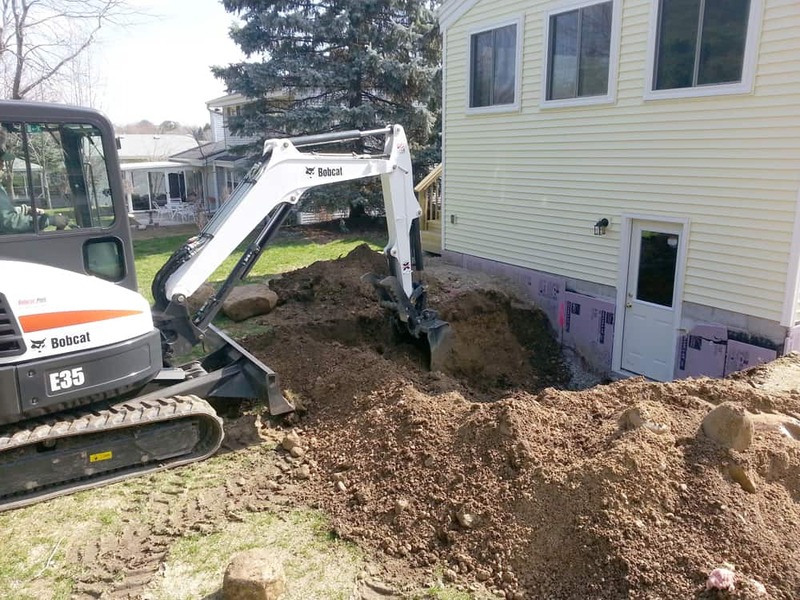 Terra Firma is used to dealing with a variety of drainage issues; we’ll be sure to drain your water, not your wallet!